The other day, I had a really funny dream. I dreamed that the FBI kept calling me, stopping by my house, wanting to know how I found out about the aliens stashed away at Wright-Patterson Air Force Base, and what more did I know. Being in a dream, I was a bit slow on the uptake, but I finally figured out that they were referring to my book Hangar 18: Legacy. “It’s fiction!” I told them. “I don’t know about any aliens on the base. I made this stuff up!” I had to be very insistent about the fact that, while I’m a software developer like the heroine in the book, the projects I work on are nowhere near as interesting as those she deals with, and even if there were aliens on the base, I’d never know. It took several more pestering phone calls, but the FBI people finally got the message. Later, they sent me cookies to apologize for bothering me. 😀 I woke up smiling. 4000 words on new ms – Yes! 4 workouts – partial – got three in. The novel’s now over 12,000 words, so I’m making good progress toward my overall ROW goal of 20k on the book. I’m going to keep the weekly goals the same for this week. I already got 300 words written today, so that’s a good start. I might just jump in on the estate planning book and the decluttering tomorrow, since it’s a holiday. We’ll see how that goes – plans have a tendency to change. My daughter decided to come home for the long weekend (I think mostly for the AC, LOL, which her dorm doesn’t have). I’ve enjoyed (and spent a lot of time) talking to her, catching up, and vicariously reliving the college experience. That has impacted my goals a little, but is well worth it. What about you – I know a lot of authors get story ideas from dreams, but have you ever dreamed about a book you’ve already written (or read, if you’re not a writer)? Whether or not you’re doing ROW80, how are you doing on whatever goals you might have had this week? Please share – I’d love to hear from you! Psychic Air Force officer and researcher Adam Keller is used to sensing the thoughts and emotions of others, so he keeps people at a distance. But when a desperate, telepathic voice demands rescue, dark thoughts of death threaten to overwhelm Adam. Then he meets a woman whose attraction to him—and his to her—quiets, if not silences, the voice. All he has to do is risk his heart and experience the emotions he’s long denied himself. Skeptical programmer Lisa Stark wants nothing more than to finish the subliminal messaging software she’s worked on for over a year, a project someone wants badly enough to kill for. Then Adam discovers the voice plaguing him is an imprisoned extraterrestrial thought dead for decades. Lisa’s software is key to freeing the being and silencing the voice… if she lives to finish it. So that’s one big ROW80 goal accomplished! 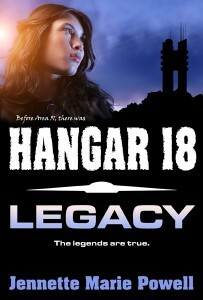 If Hangar 18: Legacy sounds like your kind of book, why not hop over to Amazon and take a look? I am currently offering it exclusively through Amazon, but it will be available in other formats at other retailers this spring. 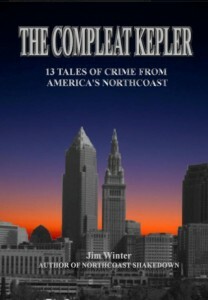 I also have a few review copies still available in other formats as well, so let me know if you’d like one. 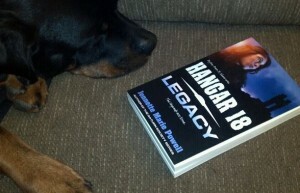 Finish formatting Hangar 18: Legacy in ebook, register copyright, send out review copies, and RELEASE IT! – Done! Be a good ROW80 sponsor and visit all the blogs I’m supposed to at minimum – Done! In my defense, I wasn’t really able to complete the estate planning stuff, because the next chapter involves things I have to ask my husband, and he was out of town all week. I also signed up for a 6-week, online writing workshop that starts next weekend, so my goals on my next WIP may change, depending on how that goes. How are you doing on your goals this week, whether or not you’re doing ROW80? Have you accomplished any of your big goals yet this year? I’d love to hear from you – please share! Formatting in Sigil – I can use code view, which makes me very happy. I haven’t seen any new releases from my writing peeps this past week. Normally, I’d come up with something else–a book review, at least!–but I’ve been deep in the weeds of formatting Hangar 18: Legacy for ebook, and didn’t prepare a blog post for today. I am also documenting the process I go through in formatting, because I’m going to present to my RWA chapter in March. That’s one of my nonfiction projects mentioned in my 2013 goals. As for Hangar 18, it’s coming! Quick ROW80 update: I’m almost done formatting my epub of Hangar 18: Legacy, and after that, it’s an easy matter to format for Kindle. I’ve also gotten two workouts in, so on track for the week in both areas! How are you doing this week, whether or not you’re participating in ROW80? Ever have one of those days where you planned to do something (like blog <cough>) but you just forgot? I finished the print formatting and got the proof back and it’s pretty! I worked on the ebook formatting for that yesterday, but kept getting sidetracked. You see, our kitchen was a disaster area, and I had to do something about it. Normally this is not a problem. My writing desk is upstairs, so out of sight is normally out of mind. But this time, it was worse than usual. My daughter had oral surgery on Friday (wisdom teeth – she’s fine 🙂 ), and she’s the one who usually cleans up. But for the past couple days, she’s been taking it easy (as she should) and DH has been getting her stuff. Or she gets for herself, as I’ve been doing. And no one’s been picking up after themselves. So it needed to be done. Sometimes, you can focus better on the mental tasks (writing) when the brainless, but necessary stuff is done. I also cleaned the gerbil tank, and set up a new, second filter in the turtle’s tank. Review Hangar 18: Legacy proof when I get it, and address any corrections needed – Done! 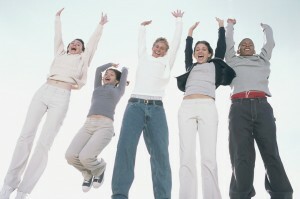 One chapter’s exercises in the estate planning guide – Done! 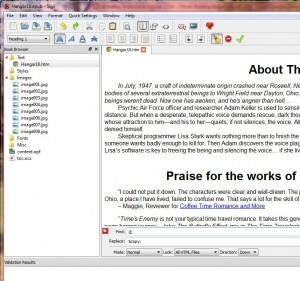 BONUS: Begin formatting the ebook version of Hangar 18: Legacy – Done! 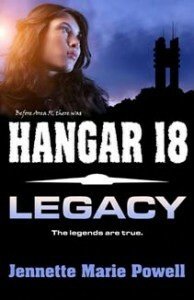 Finish formatting Hangar 18: Legacy in ebook, register copyright, send out review copies, and RELEASE IT! Does it bother you when your place is a mess, or can you ignore it? Does it ever get to the point where you can’t ignore it any longer? How are your goals coming along this week, whether or not you’re participating in ROW80? I’d love to hear from you – please share! Perhaps a different kind of mayhem is more to your taste? 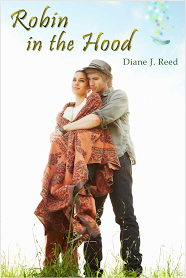 Writing buddy Diane J. Reed sneaked a new release into the world last month, that I just found last week: Robin in the Hood. This YA romance is the story of Robin McArthur, a sophomore at the prestigious Pinnacle Boarding School for Girls, who thinks she has it all figured out when it comes to bilking her wealthy dad for guilt money as a substitute for his genuine affection. Until one day he suffers a stroke, and she learns the brutal truth: they’re broke. And everyone from bankers to bookies has lined up in her dad’s hospital room to collect on the millions he’s racked up in debt. His only saving grace is what he reveals to Robin in between drools—he truly does love her, in spite of all his mistakes. Panicked and desperate, Robin figures she has two choices: either surrender to the pestering caseworker and live in a skanky foster home, or take a chance and sneak her dad out of the hospital to make a run for it. Little does she know that stealing a car and hitting the road means that before the day is through, she will rob her first bank. And now, a brief ROW80 upate: I’ve looked over the digital proof of Hangar 18: Legacy and I’m now waiting for a hardcopy proof! I’m doing the print book first this time, as I see more mistakes in that form. I have also kept up with my fitness so far, working out both days. I’m still looking for review readers for Hangar 18, so if that sounds like something you’d enjoy, let me know and I’ll be happy to send you a free review copy. You can read a description of it on my Other Books page. What about you? Do you like to read about murder, or is magic (and thievery more to your taste? Have you read any good books lately, or know of any exciting new releases? Please share – I’d love to hear from you! Last Thursday, I attended a meeting of the Dayton WordPress Users Group, where we talked about security. This was something I’d thought about a while back, when I read this blog by Marcy Kennedy. I knew a few other writers whose blogs had been hacked. I’d never had any problems myself, but that’s one of those things where it’s far better to be preemptive. So a while back, I installed one of the security plug ins Marcy mentioned. I learned a few things at our local user group meeting too, and I was able to contribute, because the guy presenting hadn’t heard of the plug-in I used. Bottom line with your website/blog’s security, get it before you need it! 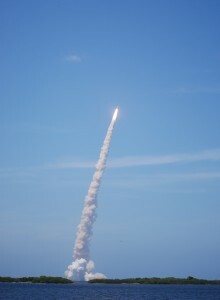 I did well with my ROW80 goals this week, too – I accomplished the main thing I set out to, which was complete the edits for my upcoming science fiction romance novel. I then went one better and got some formatting done too! Finish edits for Hangar 18: Legacy – Done! One chapter’s exercises in Get it Together, an estate planning guide. I wanted to do this last ROW, but wound up putting it off when I decided to do NaNoWriMo. This is stuff that isn’t very fun to do (or even think about), but that really needs to be done. – uh, no. What are you planning to do this week? If you have a website or blog, have you thought about securing it? I’d love to hear from you – please share! 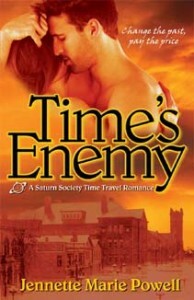 How about some contemporary romance? 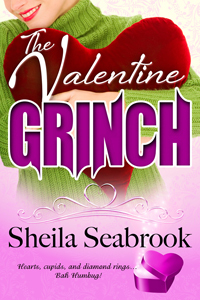 Unless you’re a Grinch… as in The Valentine Grinch by Sheila Seabrook! Hearts, cupids, and diamond rings … bah humbug! Amanda Goodwin inherited her Valentine grinchness from her Grandpa George, so when she returns home for her Grandma Elvira’s Valentine’s Day wedding, it’s bah humbug all the way. Until, that is, she encounters her grandpa’s ghost. Fortunately, she’s not in this alone. Long time friend, Dane Weatherby, totally gets her grinchly attitude. Between Grandpa’s demands for her to stop the wedding, Grandma’s inability to let go of her dearly departed husband’s urn, and Amanda’s parents acting friskier than a couple of newlyweds, she’s ready to give in to her grinchness and head back to the city. 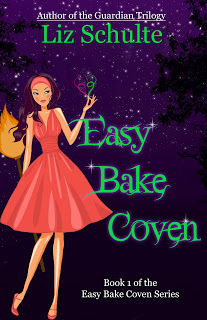 Or maybe you’d like to venture into the paranormal, with Liz Schulte‘s Easy Bake Coven, where the Abyss is watching her … waiting for her. My In Real Life writing friends have been busy too! 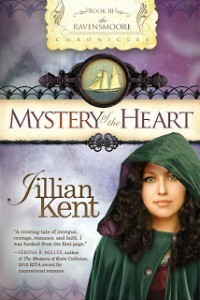 This week, Jillian Kent celebrates her birthday and the release of the third in her Ravensmoore Chronicles historical inspirational romance series, Mystery of the Heart. And now, a brief ROW80 upate: I don’t usually get much done in the beginning of the week, especially since this ROW began on Monday so we’re only talking two days… yet I did get two chapters of Hangar 18: Legacy edited! I also have kept up with my fitness so far, working out both days. What about you? 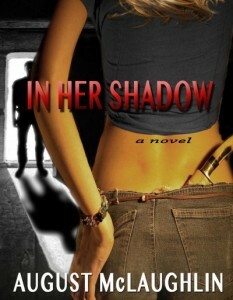 Do you like light and fun romance, or are you more for thrills and chills? Have you read any good books lately, or know of any exciting new releases? Please share – I’d love to hear from you! We’re taking a break from the usual My Town and Misfit Mondays today for the start of a new ROW80 – and a new set of goals! I got a late start on this as usual. A lot of people posted new year’s goals last week, but I needed to really think about what I wanted to do–and more important, could accomplish–this year. For ROW80, we’re just dealing with 80 days, or 11-1/2 weeks. But it’s best to start with something a little longer term. Many business experts advise having a five-year-plan. I’d like to say I have one of those, but I don’t. I do have an overall idea of where I want to be, both in my writing and life in general, but that’s it. Back to those one-year goals. One thing I learned is, they need to be written down in a place you’ll remember–and will remember to consult at least quarterly. This is the part I missed last year. I vaguely remember making them, but I can’t find anything in the areas of my computer where I’d expect this to be. I did find 2009, 2010, and 2011 goals documents. (They were kind of funny, still focused on agents, editors, and selling to NY–boy, have things changed!) I never did find one for 2012, so maybe I was thinking of the list I wrote for 2011. This year, I put the 2013 Goals list at the front of my Weekly Status Report document. This is where I document what I did each week, what my plans are for the next week, any issues, etc. (Here’s an example of what’s in my Weekly Status Report if anyone wants to see/use it.) I add a page each week, and start a new document each year. Each week when I update it, it of course opens to page 1. So BIG DUH – that’s where I should put my yearly goals! Um… yeah, seeing it spelled out like that, it looks a bit ambitious. But that’s the beauty of setting goals and working on them through a group like ROW80–if we see they just aren’t going to happen, we can change them. First draft of nonfiction piece–I’m doing a presentation based on it for my RWA chapter meeting on March 16, so it needs to be done by then. One chapter’s exercises in Get it Together, an estate planning guide. I wanted to do this last ROW, but wound up putting it off when I decided to do NaNoWriMo. This is stuff that isn’t very fun to do (or even think about), but that really needs to be done. Whether or not you’re doing ROW80, what are your plans for this year? If you are doing ROW80, is this your first time, or are you an old hand? I’d love to hear from you – please share!